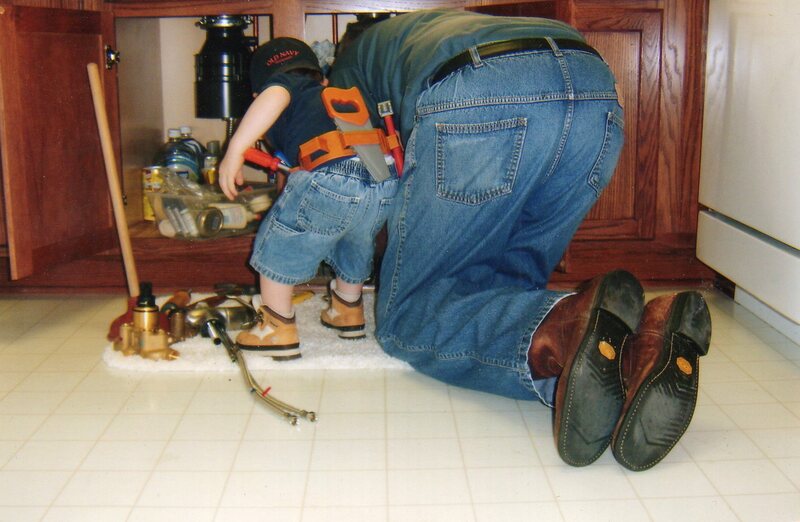 Well, at least the backside of him was…Dad was always up for anything I threw at him, and on this particular occasion, I was doing the creative for three Business-to-Business direct mail pieces for my client GROHE, a high-end German faucet company. This piece was called “Plumbers’ Helpers,” targeted towards plumbers. Dad had no objections to posing with his favorite grandson, Jack. Of the three direct mailers I did, this one–with Dad as the hand model–got the most responses. The photographer was my BFF since Kindegarten, Darlene Nauman. 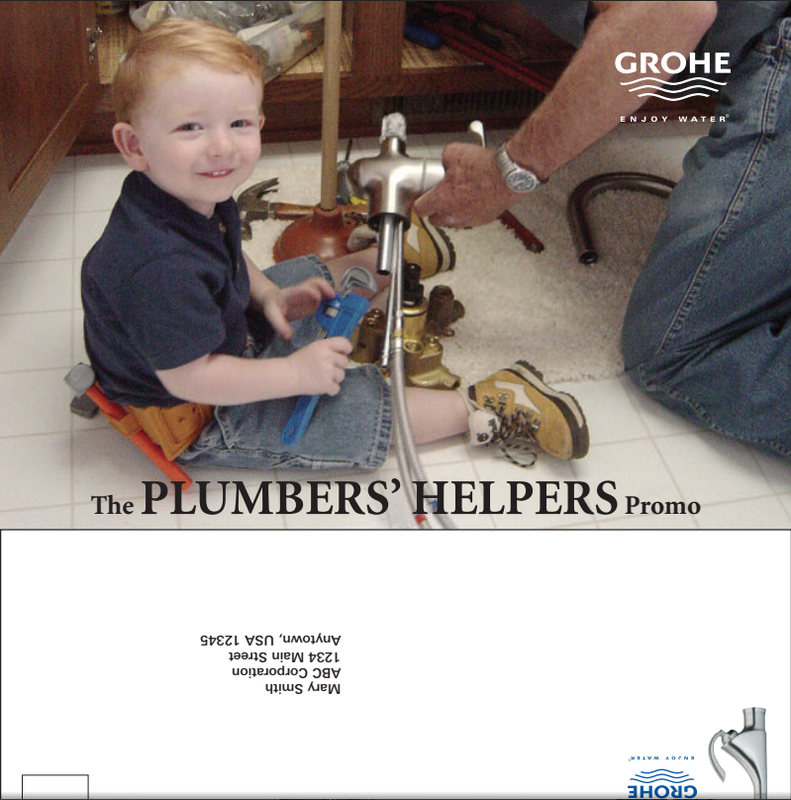 Jack and Dad in a GROHE ad.